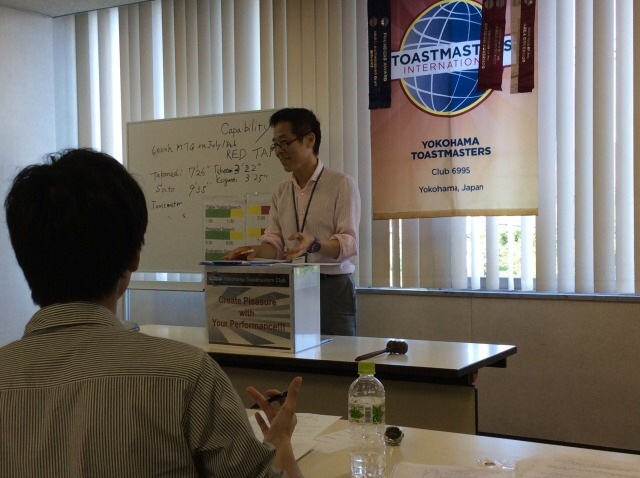 A new term of Toastmasters began on July 1st. 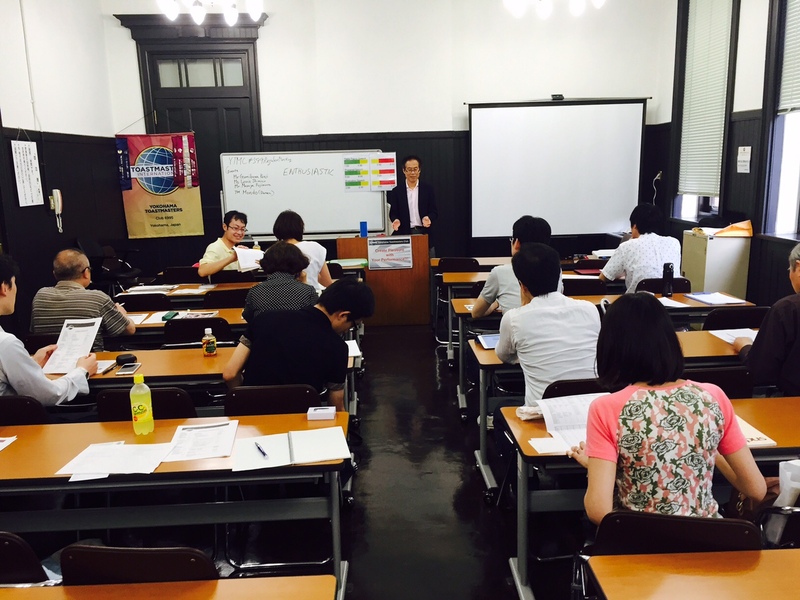 The regular meeting on July 4th was the first meeting in this term. 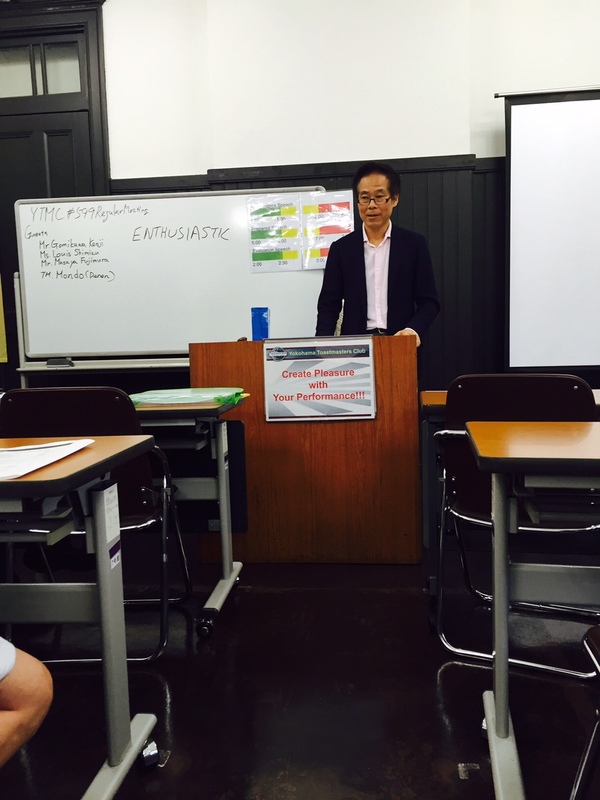 Mr. Nakanishi, our new president, remarked on his hopes and introduced our new slogan, “Gateway to Your Future”. 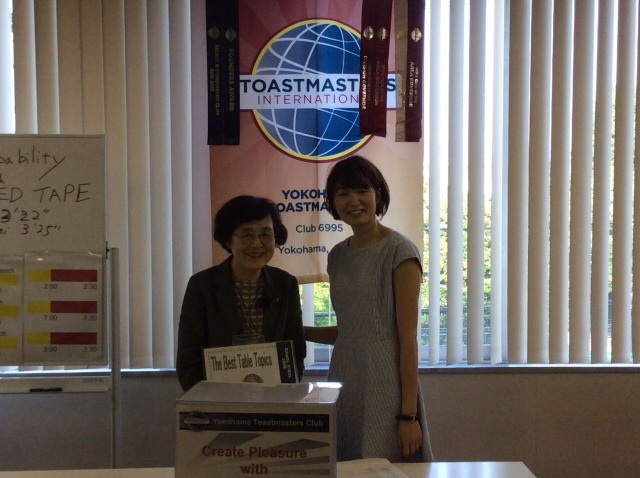 We had 3 guests, two of whom were non-Toastmasters expressed their intentions to join our club at the end of the meeting. 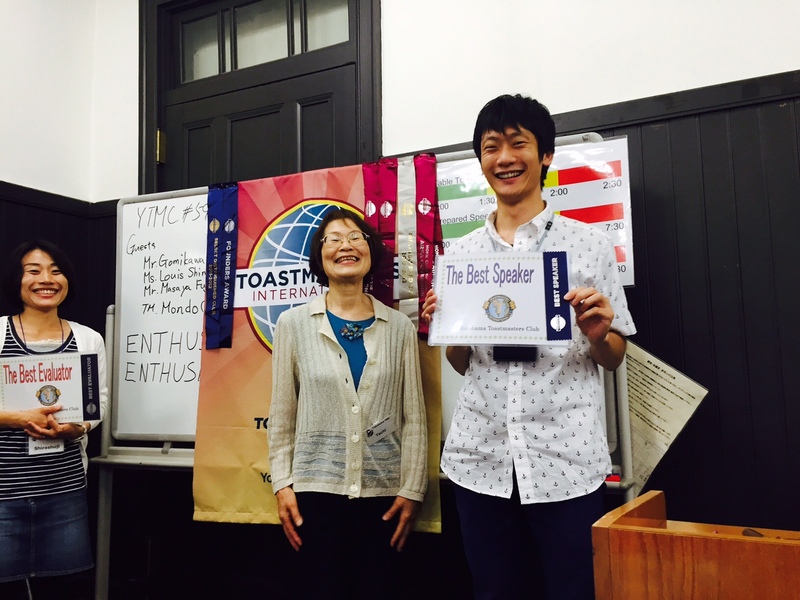 “They will open gateways to their futures!” We had a 3rd veteran guest, who won the best Table Topics speech with a great performance. 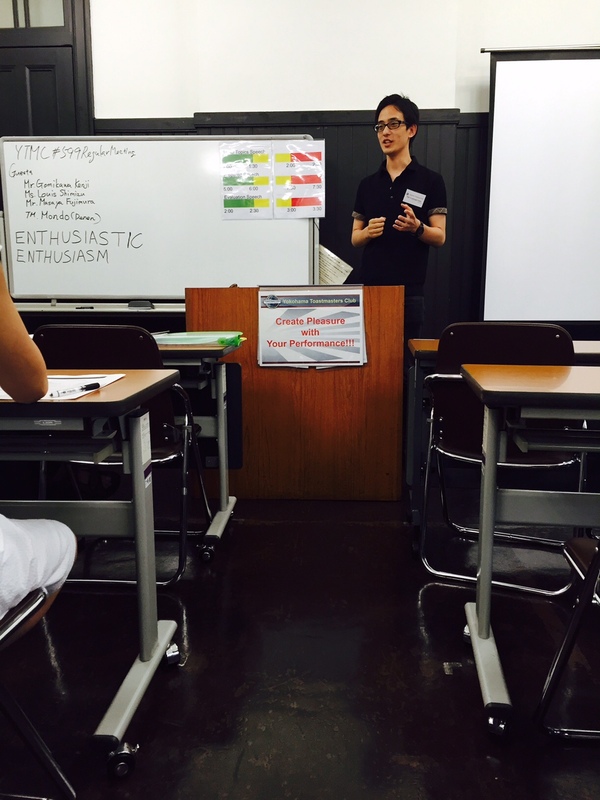 “Enthusiastic” was introduced by the GRACHO as word of the day, a key word to be used throughout the meeting. 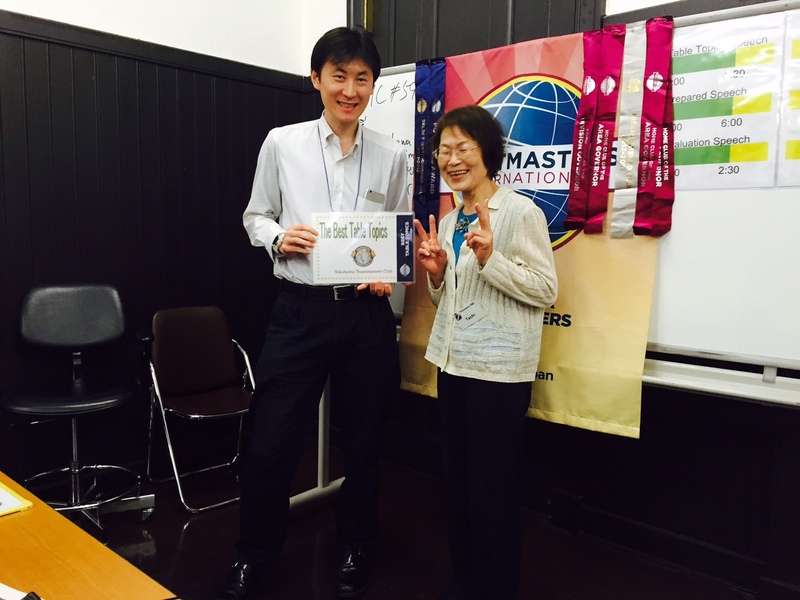 It was a perfect fit as we had an enthusiastic meeting. The meeting started on time and closed just on time. 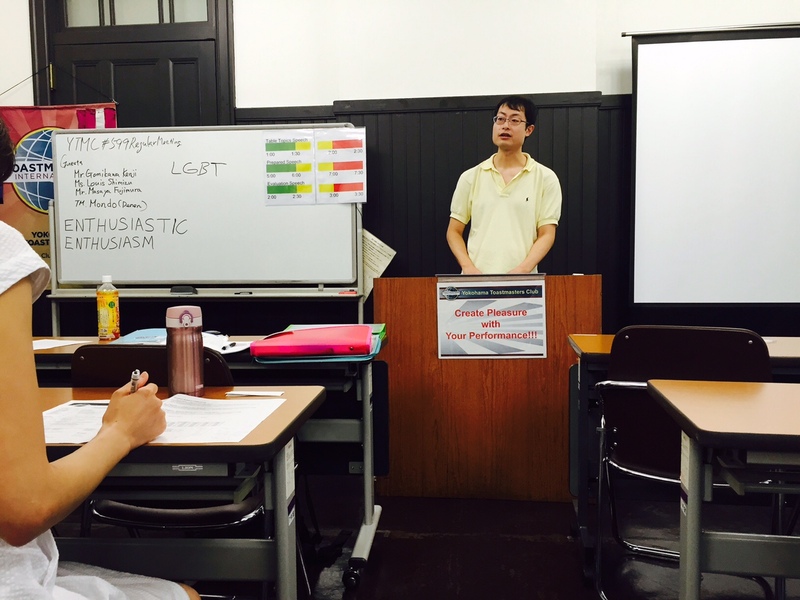 We truly got off to a good start at the very beginning of this term. 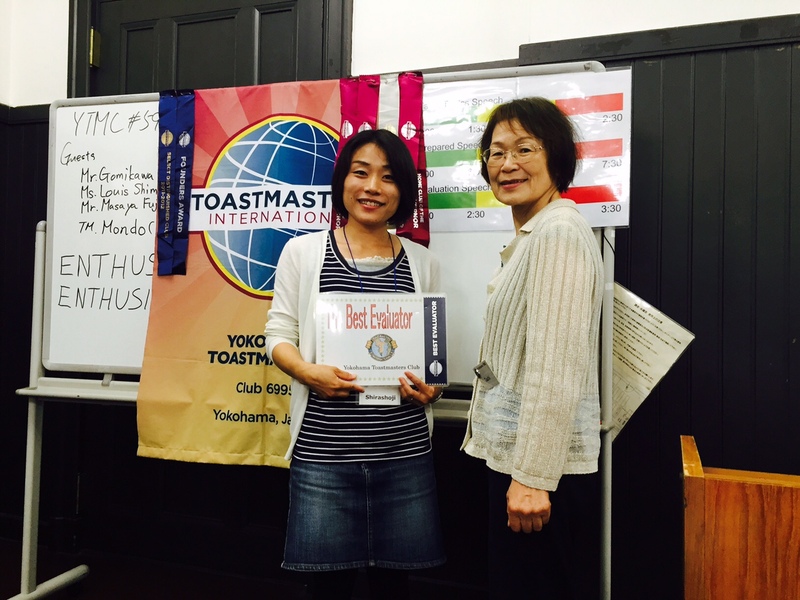 On june 20th We had our 598th regular meeting. We had a special event, New officer’s Installation.Therefore the day was the last day to hear the previous President TM T’s “Call to Order”. The Installation Ceremony Chair was Area 42 Governor TM K. He expressed gratitude for the previous officers, and introduced new officers.The Previous President TM T and The New President TM N had 3 minutes speeches. 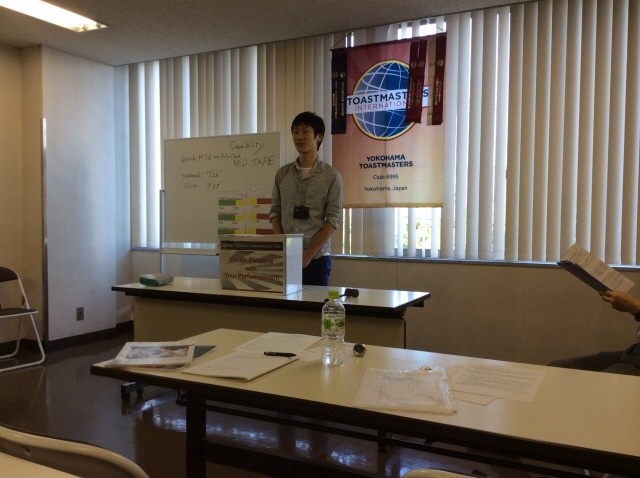 After that, We started a regular meeting.The word of the day was”Capability”.TM H challenged Tips session, and he had a great speech even though it was the first time for him to take the role,and he hadn’t received the magazine yet.TM F’s Topic master session entertained us like a show. 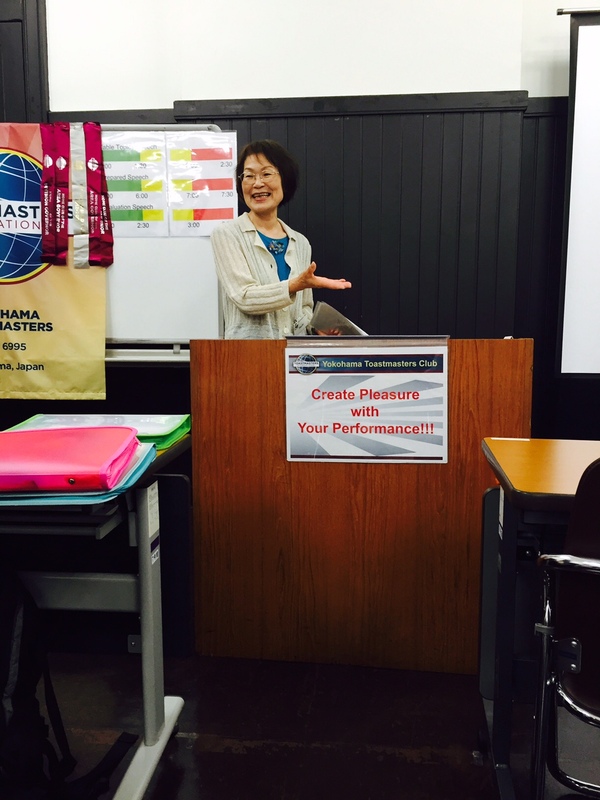 At the Prepared speech session, TM T spoke about her way to celebrate the Mother’s day and the Father’s day. In addition, she released a special happy news.TM S redo TM K’s speech which TM K had delivered it last year. It was about the man who established the first beer factory in Japan. We felt drawn to his story. 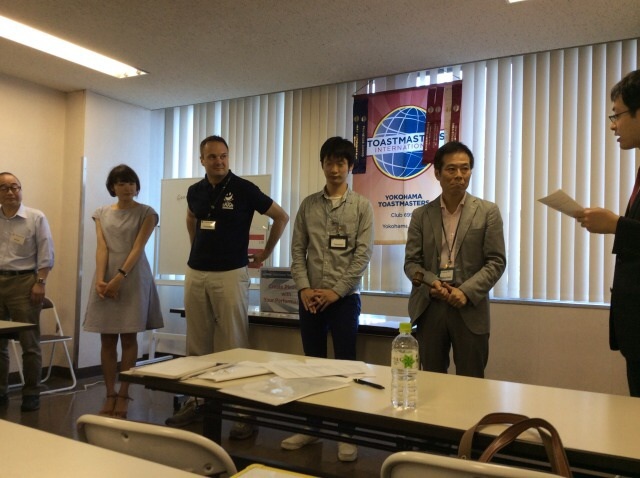 After a short break, We had a Evaluation Session, and Award Presentation. 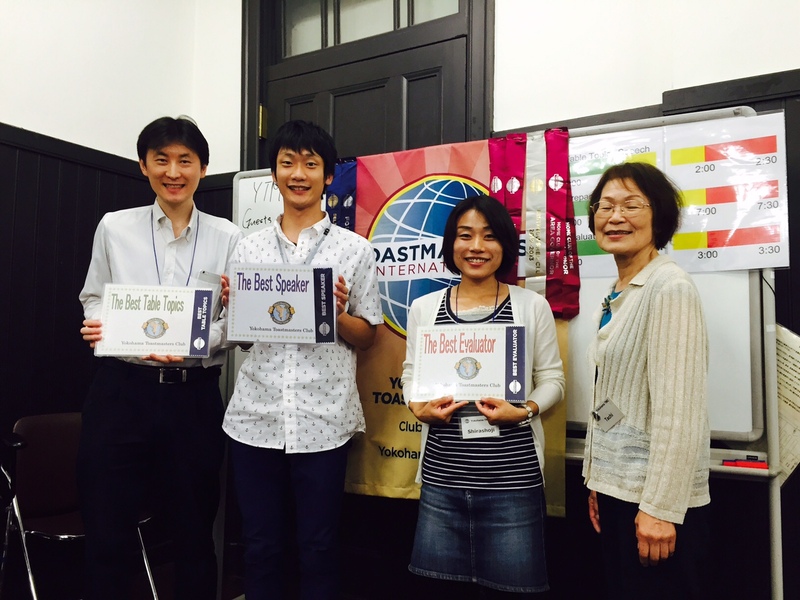 In that day, we could vote only for the Best Table Topic speaker, because there are only two speeches, and TM S got the Best Table Topic speaker Award. We finished our meeting with Next New President TM N’s “Adjournment”. 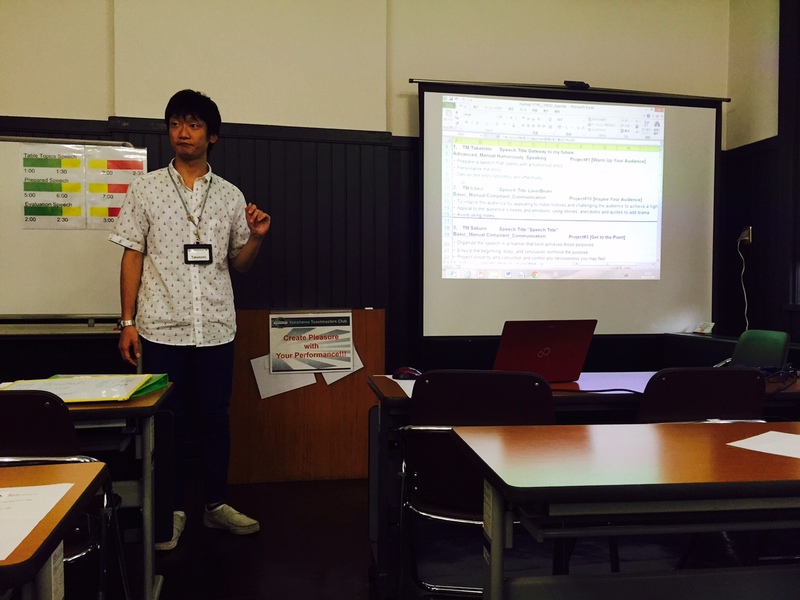 It was the first time for me to take the TMOD role, and I noticed every meetings were composed of lots of members’s supports. I greatly appreciated all members who supported the meeting, and all attendants for their cooperation.